Geotripper: Look West, Young Man (and Everyone Else): It's a Conjunction! Look West, Young Man (and Everyone Else): It's a Conjunction! There are interesting things happening in the western skies this week. 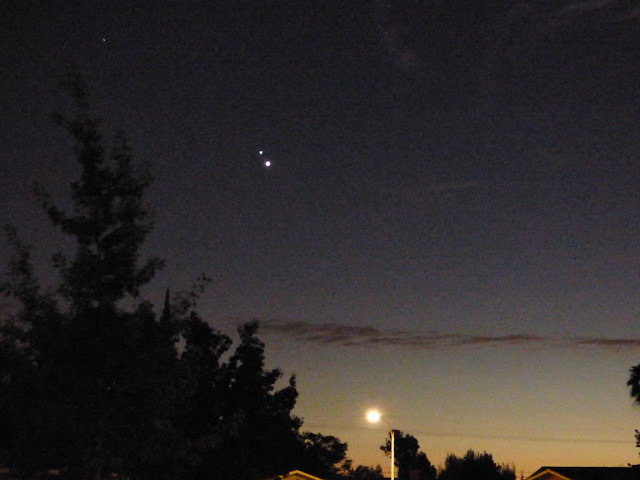 All month, there have been two bright objects in the evening sky, getting closer and closer. They aren't really getting physically closer, as Jupiter is far beyond Venus, but their line of sight is making them appear close together. Such "near-misses" are called conjunctions. They will appear closest on June 30 and July 1, so be sure to check it out! 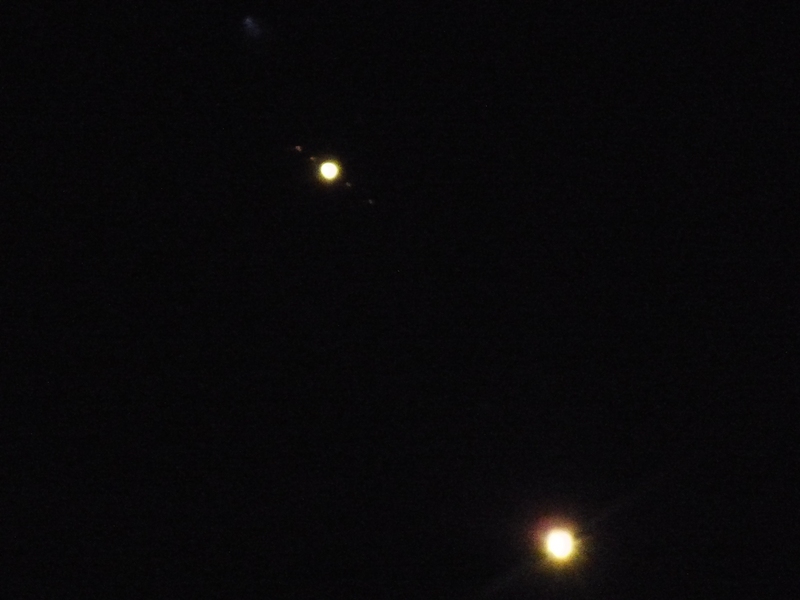 It's been a long time since I've been able to photograph two planets in one frame at a magnification high enough to catch Jupiter's moons. 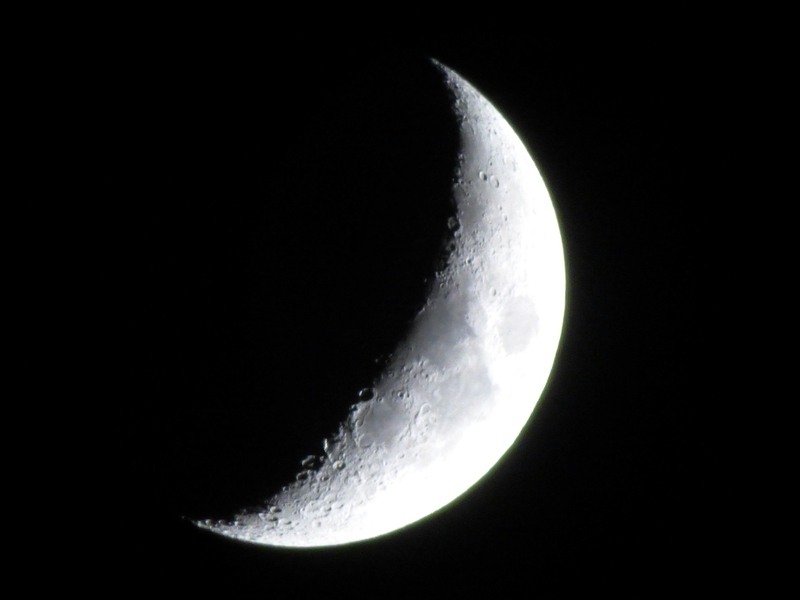 Maybe tomorrow I'll even try a tripod (tonight I was just leaning on the hood of the car in the front yard). I've been watching the dance of the planets for two weeks now. At Natural Bridges National Monument on the Summer Solstice, I caught the new moon adjacent to the planets. The Ancestral Puebloans were keen astronomers, designing their cities in the desert to align with astronomical and seasonal phenomena. Something like this in 1150 AD would most certainly have caught their attention. It was a real privilege to be in a series of parks that are so remote from human light sources. The night skies were brilliant. The nights were nearly as interesting as the days at times. Not only is there the sky with the stars, planets, and Milky Way, but the night sounds and odors as well. 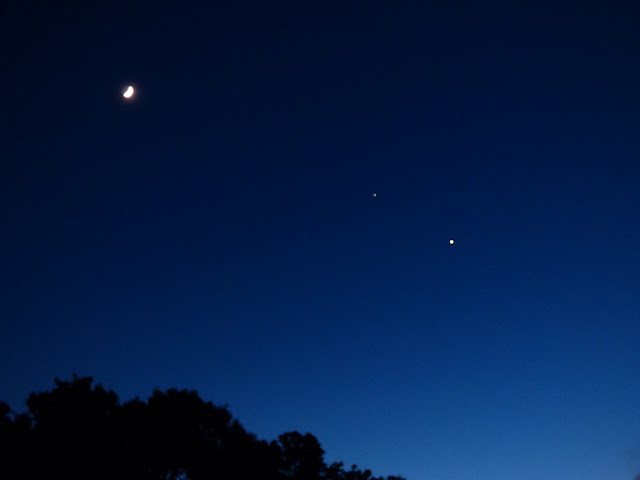 Get more information about the conjunction from EarthSky at http://earthsky.org/tonight/watch-the-great-race-of-venus-and-jupiter-in-june-2015.